Does this mean that the NSA is going to expand their operations? What is the Border Patrol and ICE doing to halt these illegal activities? Do we really need to reform immigration? What are we to do? awwwwwwwwww! what a cute very importent story! slow nuz day again? 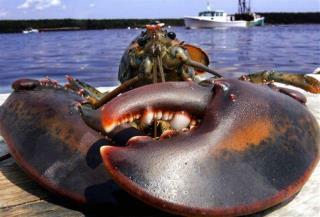 Maybe the Lobster should set up a profile on match.com I hear they are great at finding mates!